The Intel 9th Generation Core Family is coming to the consumer market really soon as indicated by their official listing on the microcode revision guidance documents. The Intel 9th Generation Core processors will be based on existing microarchitecture and will be more of a refresh to the lineups that launched last year. We covered the Intel 9th Generation Core Family along with the first processor names a few days ago. Today, Intel has confirmed our article by listing down a couple of unreleased, 9th Generation Core processors which will be hitting the retail market, this quarter. There is a range of CPUs that users will be able to select, all the way from Core i3, Core i5, Core i7 and the top-end Core i9 chips. 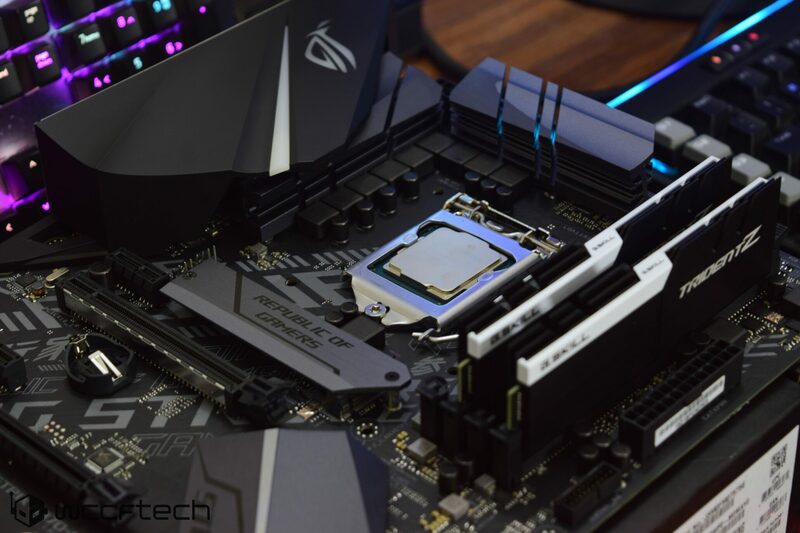 A total of seven processors have been listed in the official documents, five of which belong to the Core i5 family and just two parts that fall under the Core i3 family. The processors include the Core i5-9600K, Core i5-9600, Core i5-9500, Core i5-9400, Core i5-9400T, Core i3-9100 and Core i3-9100. All Core i5 parts are based on the 6 core configuration and feature GT2 graphics while the Core i3 parts are based on the 4 core configuration and feature GT2 graphics.